Channel set diamond half eternity ring, beautifully set and finished with 0.25cts of Carré cut diamonds within a 2.7mm wide ring. Elegant Carre cut Diamond half Eternity Ring. Featuring a precision channel setting with 0.25cts of square Carré cut Diamonds seamlessly set within a 2.7mm wide band. 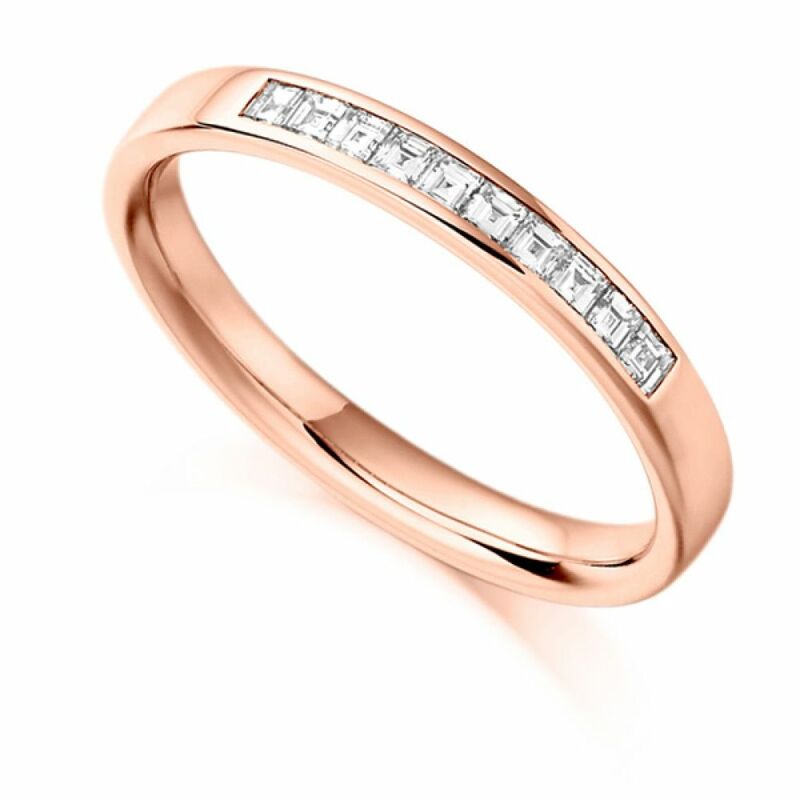 This exceptional Eternity Ring forms part of the Raphael Collection, available in a variety of precious metals including 18ct Rose Gold, 18ct White Gold, 18ct Yellow Gold, Palladium and Platinum. Please allow 4 weeks for this design to be crafted and meticulously set for a perfect finish. Your Carré cut Diamond Eternity Ring will arrive beautifully boxed and gift packaged, ready to present.